Transforming society and life through education and knowledge. 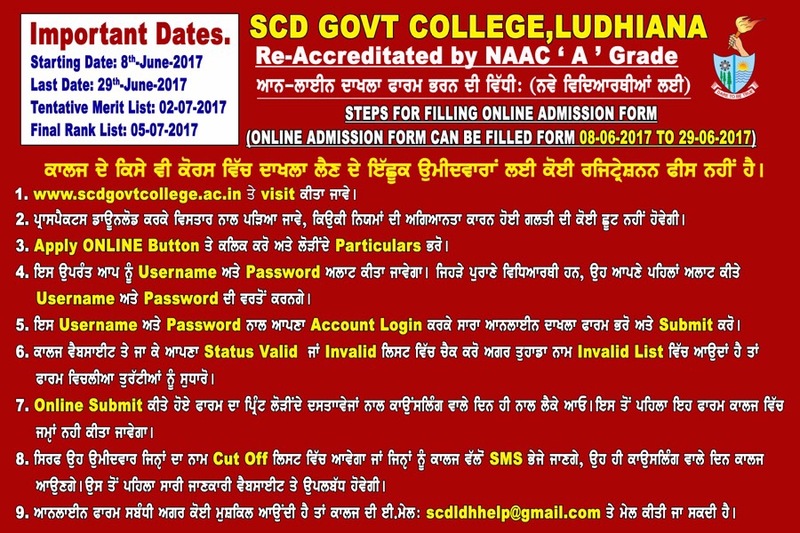 SCD Government College Ludhiana cultivates in its students a passion for learning and a respect for others, while embracing diversity and the pursuit of excellence. We create a community in which individuals develop competence, confidence and character. Our active learning environment, in and out of the classroom, develops creative and critical thinkers, unafraid to express their ideas, prepared to seek meaningful lifetime success and to live by our motto, “Dare to be true”. 1. To inculcate values of courage, conviction and faith in the students so that they leave lasting footprints in the sands of time. 2. To raise stakeholder’s awareness of global issues, providing new learning opportunities. 3. To Enhance, Enrich and Empower the communication and computation skills amongst both rural and urban student communities. 4. To maintain academic standards through creative and innovative techniques. To be true means to reach the pinnacle of humanity by developing noble qualities.